This Book reads like a woman telling her life story to her best friend in Bits and Pieces of amusing stories. She shares all of her good times and funny tales so that they can laugh together. 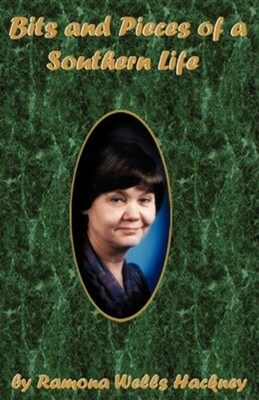 As you read along, Maybe you will also find yourself inside these pages and become a Best Friend Ramona Hackney was born and raised in the South by loving, Christian parents. Their love for each other and the lessons that they taught are locked in her memories forever. A love of her heritage and the joy of her life gave a reason to pass on some of those treasured moments and warm feelings to others. Her hope is that you may find some of your life in the pages of this book. I'm the author/artist and I want to review Bits and Pieces of a Southern Life.